Our study on ladybugs this week has been fun. We have been looking at what they eat, how they fly and how they grow. 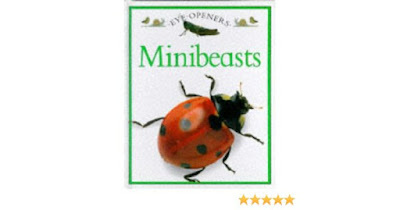 English people call them ladybirds and Americans call them ladybugs. 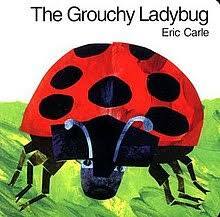 We read the story of 'The Grouchy Ladybug" by Eric Carle and the DK book 'Minibeasts' by Angela Royston. We watch a slow motion study of ladybugs flying so that we could see that the spotted red part we can see is only their wing cover and not their real wings. It was so great to watch their real wings unfold as they took off. 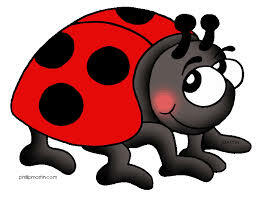 We learned a new song and actions about a ladybug which also helps us to remember the names of our body parts. As the week progressed we made our own ladybirds. We put on as many spots as we wanted and then we counted them. We counted the number of legs they had and the number of antennae.